If you have a sore throat, cough, or sinus pain, you might expect to take antibiotics. After all, you feel bad, and you want to get better fast. But antibiotics don’t help most respiratory infections, and they can even be harmful. Here’s why. Antibiotics kill bacteria, not viruses. Antibiotics fight infections caused by bacteria. But most respiratory infections are caused by viruses. Antibiotics can’t cure a virus. Most sore throats, especially with a cough, runny nose, hoarse voice, or mouth sores. Nausea, vomiting, and severe diarrhea. Many adults go to emergency rooms because of antibiotic side effects. Overuse of antibiotics is a serious problem. Wide use of antibiotics breeds “superbugs.” These are bacteria that become resistant to antibiotics. They can cause drug-resistant infections, even disability or death. The resistant bacteria—the superbugs—can also spread to family members and others. Overuse of antibiotics leads to high costs. Drug-resistant infections usually need more costly drugs and extra medical care. And sometimes you need a hospital stay. In the U.S., this costs us over $20 billion a year. You may need an antibiotic if you have one of the infections listed below. You have a sinus infection that doesn’t get better in 10 days. Or it gets better and then suddenly gets worse. You have a fever of 102° F accompanied by facial pain for 3 or more days in a row, possibly with discolored, thick mucus. Symptoms can include cough with colored mucus, fever of at least 100.6° F, chills, shortness of breath, and chest pain when you take a deep breath. The diagnosis is made with a physical exam and a chest x-ray. You have whooping cough (pertussis). The main symptoms are fits of severe, rapid coughing. They may end with a “whoop” sound. The diagnosis should be checked with a swab of the throat. Your family may need antibiotics also. Symptoms include sudden throat pain, pain when swallowing, a fever of at least 100.6 F, and swollen glands. The diagnosis should be done with a rapid strep test, which uses a swab of the throat. If your doctor does prescribe antibiotics, follow the directions carefully and take all your pills. This helps prevent the growth of superbugs. © 2018 ABIM Foundation. 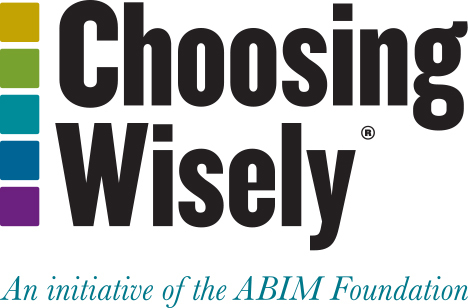 Developed in cooperation with the Infectious Diseases Society of America for Choosing Wisely, a project of the ABIM Foundation.